Loadmax G70 Transport Chain gives the benefits of cleanliness, lightweight, strength and reliability therefore making it ideal for tie-down applications for the transport and shipping industries. 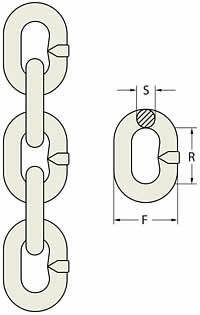 G70 Chain available from 6 to 13mm and gold zinc finish. Marked with 4344 (lashing capacity in tonnes) with AL for traceability. 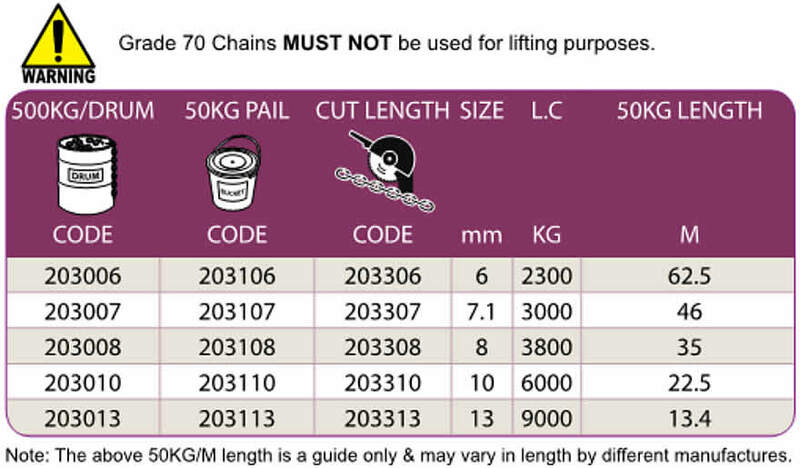 Available in 50kg pails or 500kg drum lots also any lengths can be supplied upon request. Comply with AS 4344, Batch Test Certificate available upon request.